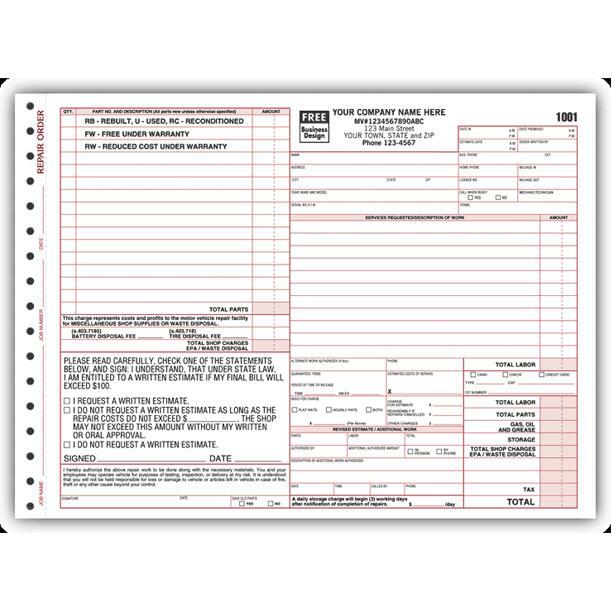 Florida Auto Repair Invoice helps auto shops to operate within the law as they conduct their day to day repairs on motor vehicles. 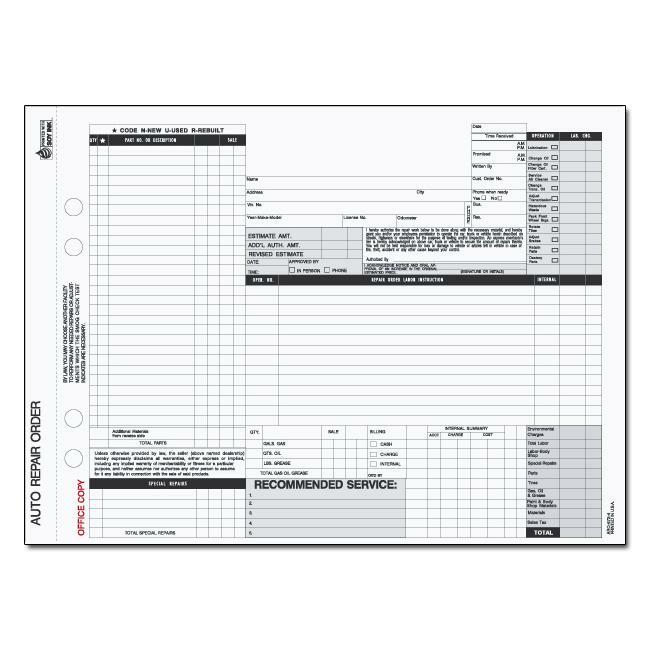 This form is preprinted with text to make filling it out very simple. It has a large area for description of work and parts used. The last copy or page is made from tag cover stock therefore it’s thick and sturdy. Auto repair shops all over the state of FL use this form because of its convenience and professional layout. 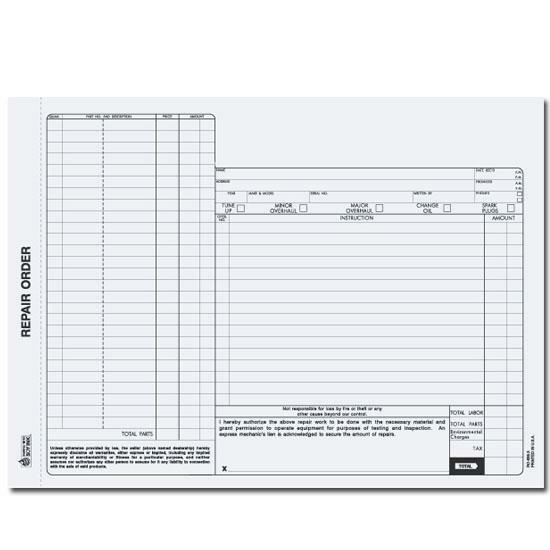 Customize this form by adding your logo and business name, address etc. It will be printed and shipped in approximately 5 days. 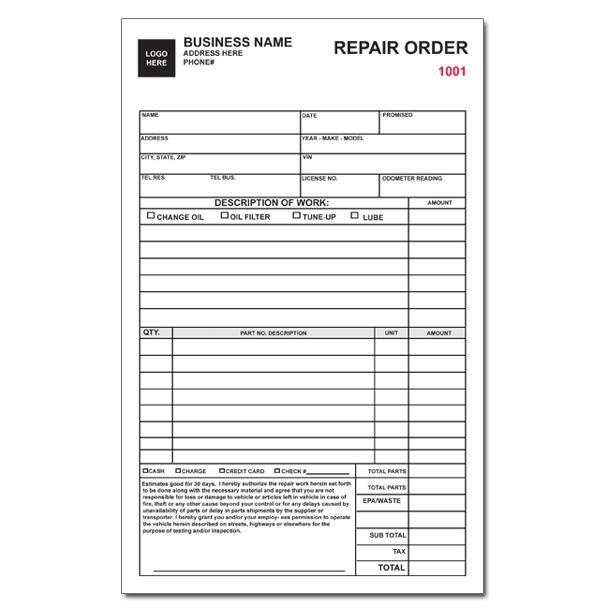 This Florida auto repair invoice is guaranteed to help build your brand and company identity.